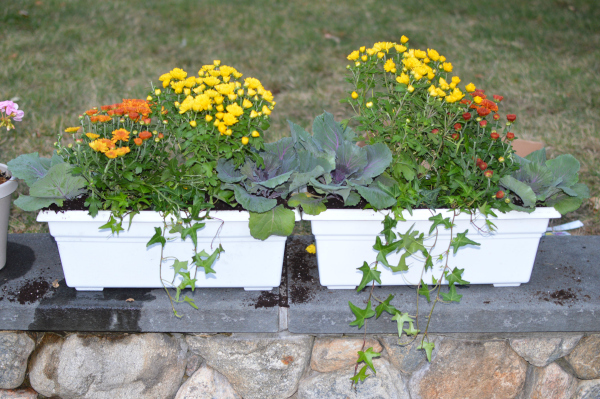 Last weekend we swapped out the geraniums in our window boxes with mums, kale and ivy for fall. I can barely keep anything alive.... so this is a whole new venture for me. I brought a Better Homes and Gardens image to The Gardeners Center and Florist in Darien and someone assisted me in what to arrange. Since they are on the second story they don't have quite the impact I was going for but I will know for next time (2 white liners per window). Lexi insisted on helping... I thought we were over the eating dirt phase but apparently not. At least it was organic... ? 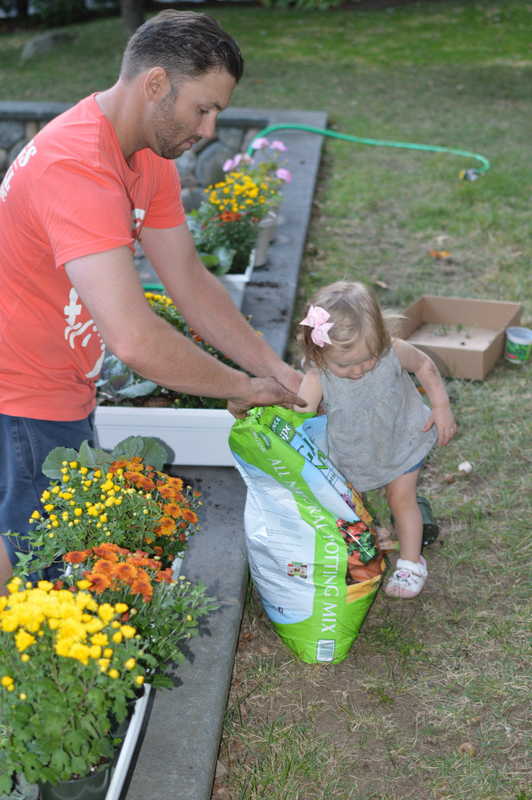 Daddy's little helper! 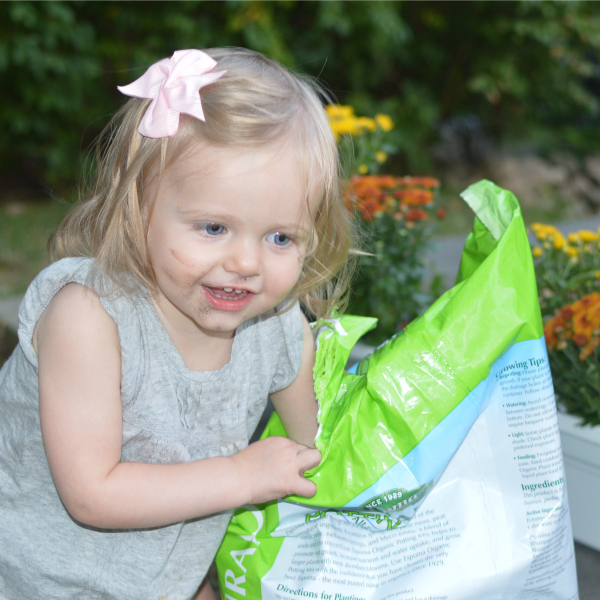 She was throwing dirt into the boxes while I supervised. 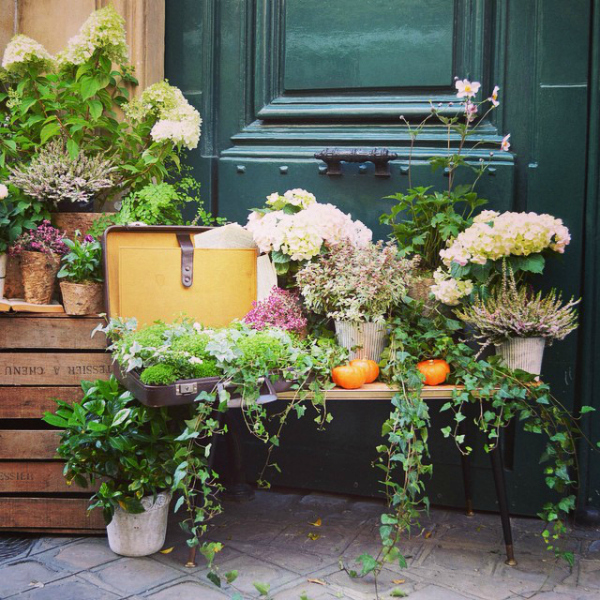 Exactly 3 years ago I was in Paris and stopped to admire this little flower shop in Saint Germain. If only I could recreate this! I think they look gorgeous and I'm totally lol'ing at Lexi and the dirt!